Dokan Single Product MultiVendor Doc - Make Your Stores Interactive! Dokan Multivendor provides you with features to design and build your marketplace stores the way you like. The Dokan Single Product Multivendor is one of the newest modules to be introduced to the plugin. 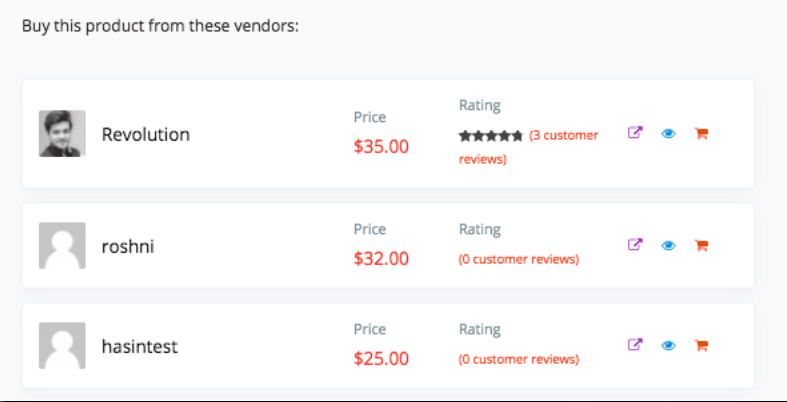 This feature will make it convenient for vendors to sell other vendors' products. 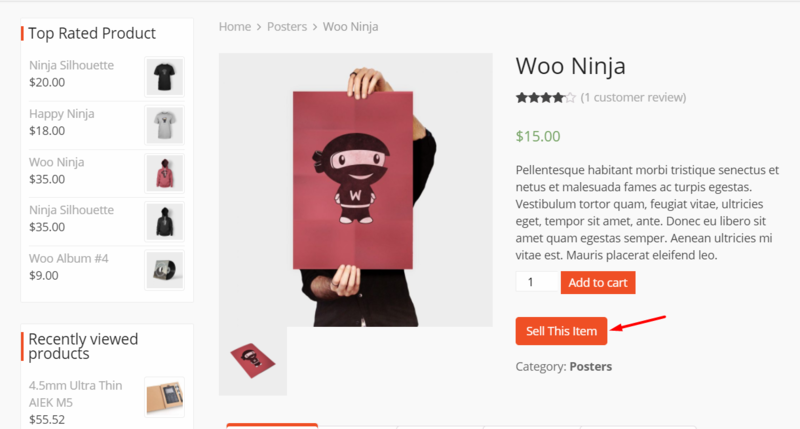 They can add a product from another vendor's store to their own store with a single click and customize as they like. 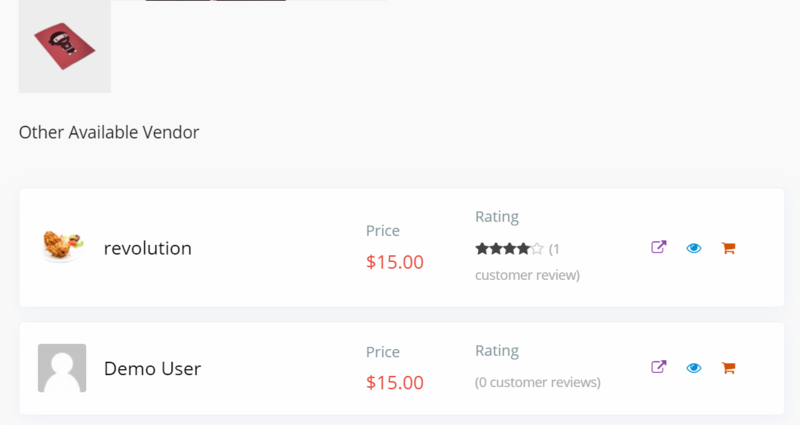 At the same time, customers get to view all the vendors selling the product and compare prices from the product page. This will let shoppers buy a product with the best price. This documentation will show how to configure and use Dokan's Single Product Multivendor Module. Click on the toggle button beside Single Product Multiple Vendor. This will activate the module. Navigate to WordPress Admin Dashboard → Dokan → Settings → Single Product MultiVendor. Click on the checkbox beside Enable Single Product Multiple Vendor option. 2. 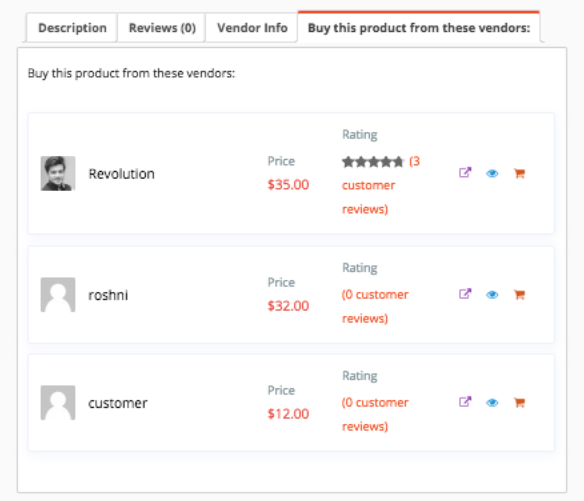 You can also change the sell item button text and available vendor display area title. To change the Sell Item Button Text, type over the given field which will have the default text “Sell This Item”. This is how vendors will view the button for a product from the store. 3. 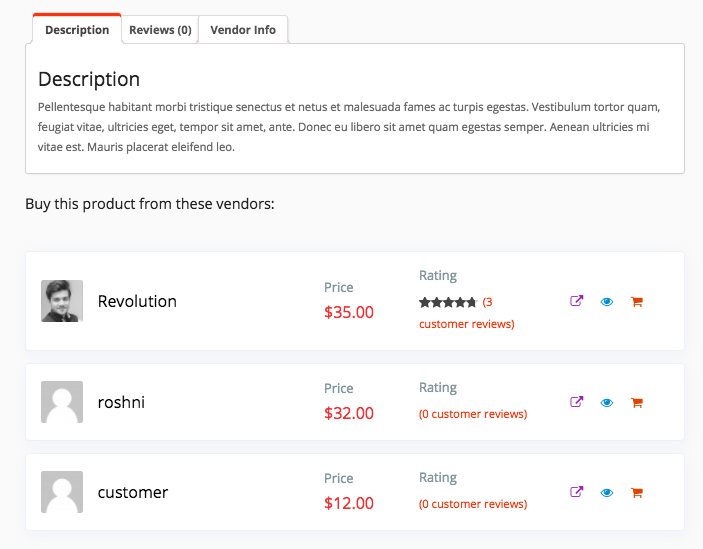 You can also change the text for Available Vendor Display Area Title as you desire. To do this, simply write your desired text over the given field which will have the default text ”Other Available Vendors”. 4. You can also choose where you want to display the available vendors list. After configuring everything, click on Save Changes. 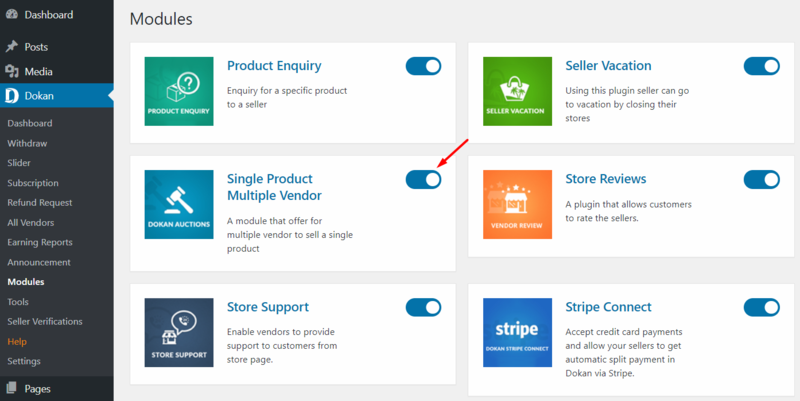 When you visit a product from another vendor, you will see a new button “Sell This Item“. 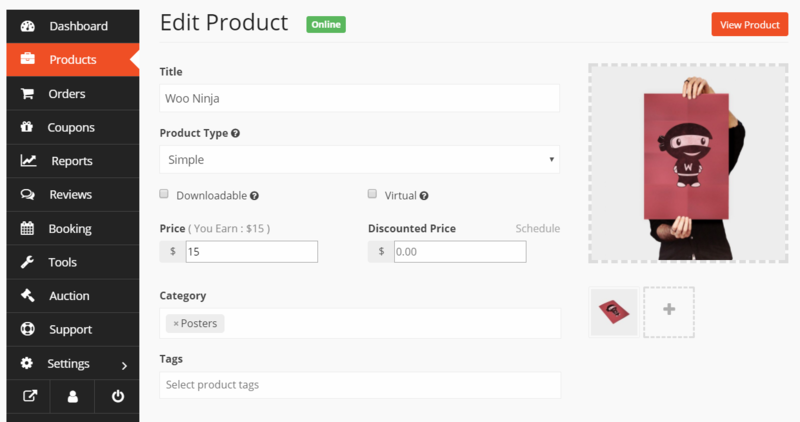 When you click on this button, a new product will be created for your store and you can edit its details. If there are multiple vendors for the same product, the customer will view all of them listed on the product page. This will help them to compare the price and buy the suitable one for them.